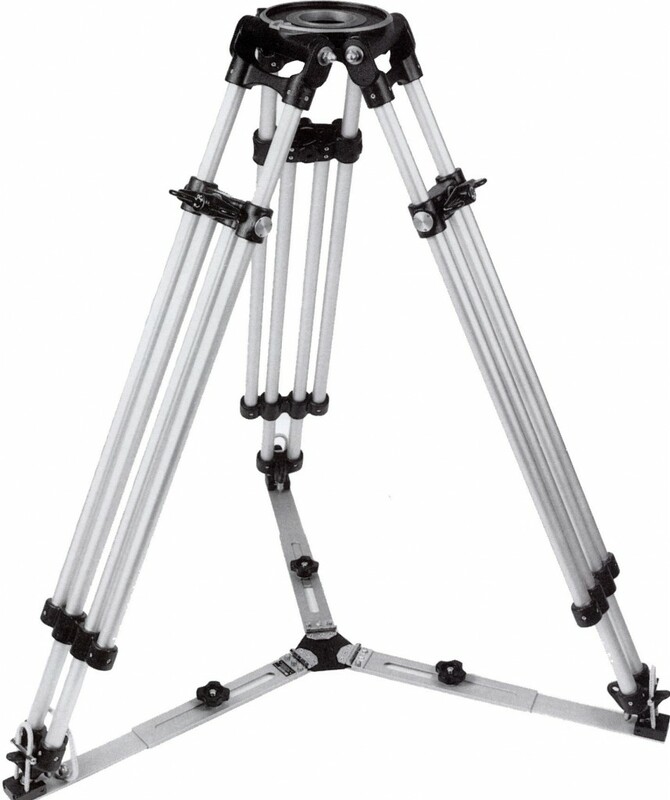 For over 40 years Ronford Baker have manufactured Academy Award winning tripods. For over 50 years Ronford Baker have manufactured Academy Award winning tripods. Mitchell top plate supplied as standard. 150mm bowl can be supplied on request. Castings are LM25 anodized, stove enameled black texture. Tubes are 1” dia x 16swg HE30TF alloy, polished and anodized, with nylon wipers and nylon locking pads. Stainless Steel spikes to feet, with rubber covers. Locking levers are anodized and stove enameled black texture. All steel parts are hardened where necessary, and chrome plated. With legs spread at 1’6” (45.7cm): closed 3ft’ (91.4cm), fully extended 5’6” (167.6cm). Dimensions (center to foot) minimum 1’5” (43cm), maximum 2’1” (64cm). Dimensions 42” x 12” x 11” (105cm x 30cm x 27.5cm) standard. 26” x 12” x 11” (65cm x 30cm x 27.5cm) baby. Weight 11lb (5kg) standard, 8lb (3.5kg) baby.